Eddie never gives up and likes to prove his detractors wrong. Sounds universally familiar? Just like the unbreakable focus and determination of the recently crowned Ms. Universe 2015, Philippines’ Pia Alonzo-Wurtzbach comes an inspiring story based on true events in “Eddie The Eagle” starring Hugh Jackman and Taron Egerton. From the producers of the blockbuster action movie “Kingsman: The Secret Service,” the feel-good story of “Eddie The Eagle” is about Michael “Eddie” Edwards (Egerton), a courageous yet unlikely British ski-jumper who never stopped believing in himself – even as his family and the entire nation initially counted him out. 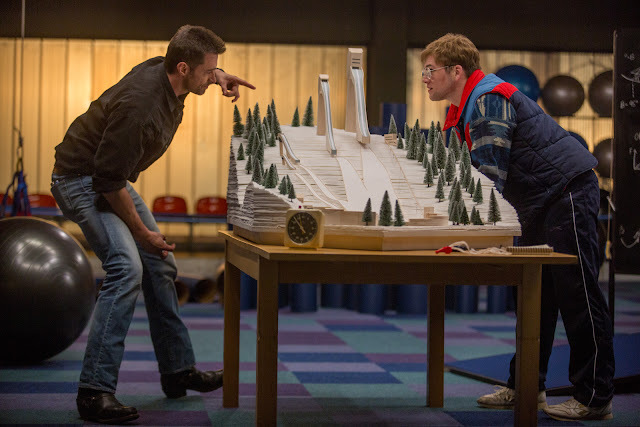 Persistently trying to perfect his skill with the help of a rebellious and charismatic coach, portrayed by Hugh Jackman, Eddie eventually wins the hearts of sports fans round the globe when he performed a historic feat at the 1988 Calgary Winter Olympics. A loveable underdog with a never-say-die attitude will rise in “Eddie The Eagle” when it opens in cinemas this April 2016.